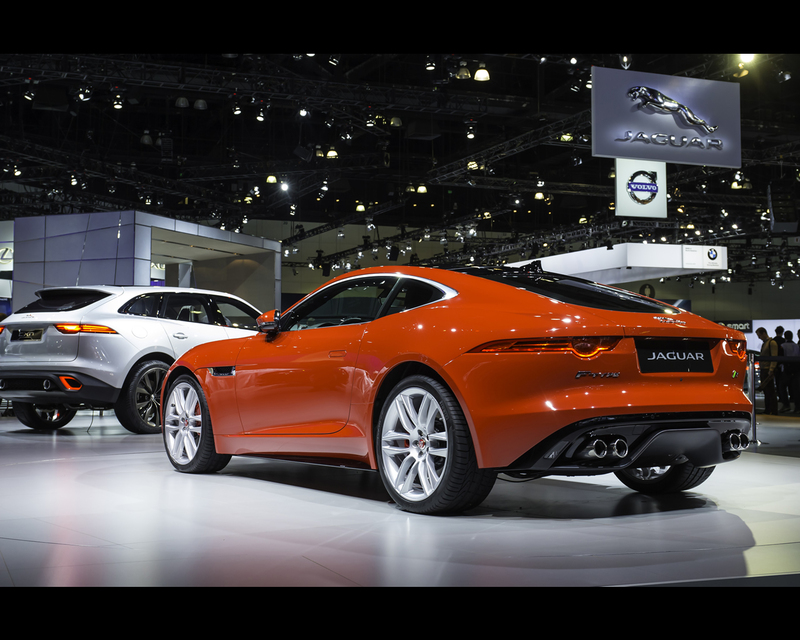 The Jaguar F-TYPE Coupé has made its global motor show debuts in both Los Angeles and Tokyo. Phil Popham, Group Marketing Director, Jaguar Land Rover said: "The F-TYPE Coupé provides its driver with a unique sports car experience. It combines seductive design with cutting-edge technology and performance which is truly breathtaking. Engaging, precise, intuitive and alive - it is the definitive sports Coupé." 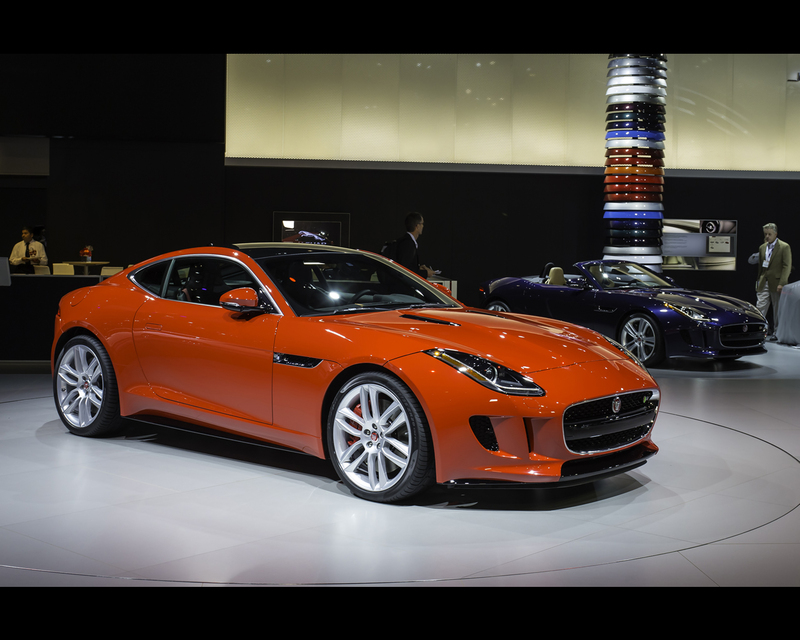 The Jaguar F-TYPE Coupé model line-up is headlined by the F-TYPE R Coupé, its 550hp/680Nm 5.0-litre V8 supercharged engine enabling acceleration from 0-60mph in 4.0-seconds, and a top speed of 186mph (limited). 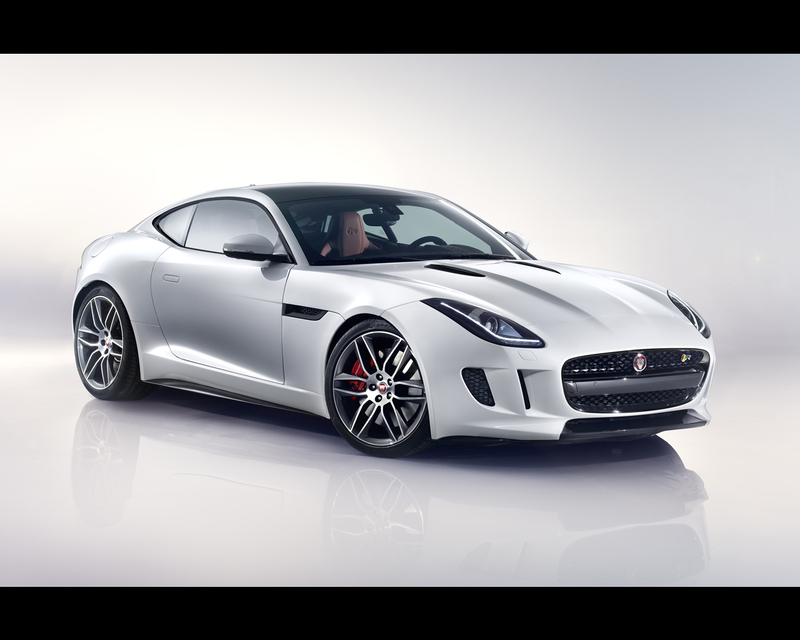 F-TYPE S Coupé and F-TYPE Coupé models complete the range, powered respectively by 380 hp and 340 hp versions of Jaguar's 3.0-litre supercharged V6 engine, giving 0-60mph in 4.8/5.1-seconds and top speeds of 171/161mph. 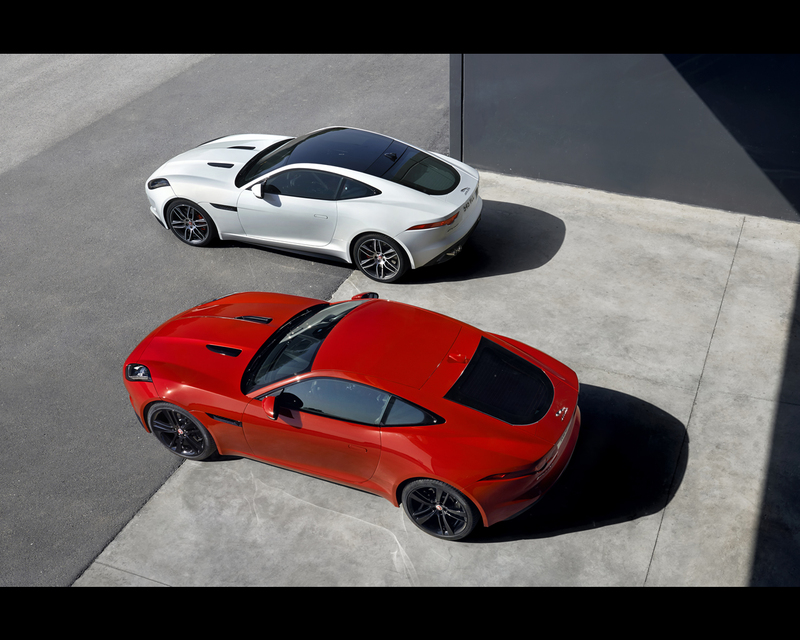 The all-aluminium F-TYPE Coupé – the most dynamically capable, performance-focused sports car that Jaguar has ever produced – is available in three versions: F-TYPE R, F-TYPE S and the F-TYPE. The range-topping F-TYPE R Coupé is powered by Jaguar’s 5.0-litre supercharged V8 engine in 550PS/680Nm tune, delivering acceleration to 60mph in 4.0-seconds, and a top speed of 186mph (electronically limited). 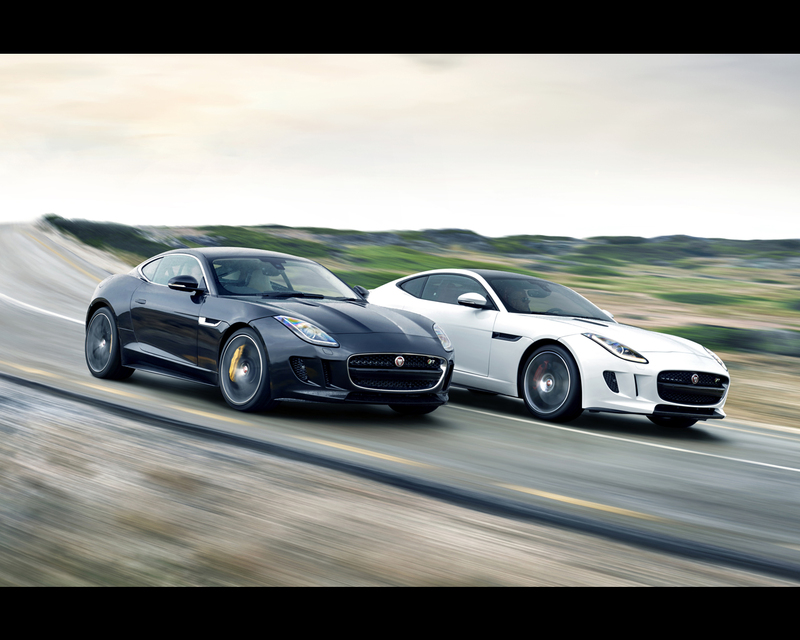 The F-TYPE S Coupé and F-TYPE Coupé are powered by Jaguar’s 3.0-litre V6 supercharged petrol engines in 380PS/460Nm and 340PS/450Nm forms respectively, giving 0-60mph in 4.8/5.1-seconds and top speeds of 171/161mph. 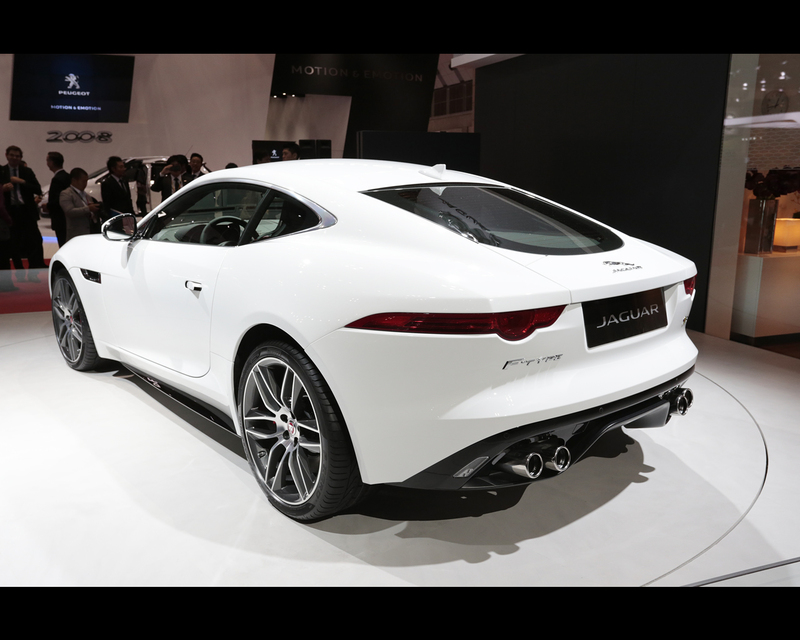 The F-TYPE Coupé’s body side is made from a single-piece aluminium pressing, probably the most extreme cold-formed aluminium body side in the automotive industry, eliminating the requirement for multiple panels and cosmetic joints. The roof panel itself is available in either aluminium or panoramic glass form. A deployable rear spoiler sits within the tapered shut-line of the F-TYPE Coupé, while slim, wrap-around LED lamps flank a beautifully engineered tailgate, with optional powered open/close functionality. To deliver assured, progressive handling in line with its 550PS output, the range-topping F-TYPE R Coupé features a bespoke suspension set-up and new dynamic technologies. These include a second-generation Electronic Active Differential (EAD) and – for the first time on a Jaguar – Torque Vectoring by braking, these systems working in parallel to provide immediacy of response and exploitable handling. The EAD system automatically redistributes engine torque between the rear wheels to ensure excellent on-the-limit control, while Torque Vectoring by braking intelligently applies precisely metered braking force to the inner wheels as necessary during cornering to enhance agility. Sports suspension with Adaptive Dynamics damping and Configurable Dynamic Mode further enhance the F-TYPE R’s immediacy of response, providing an exhilarating and involving driving experience. 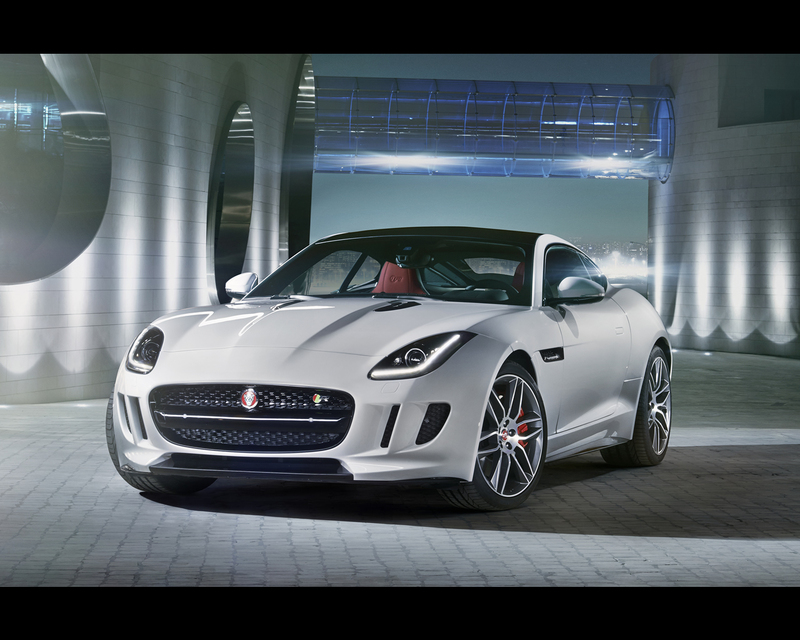 Visual appeal is fundamental to Jaguar and, as such, the F-TYPE Coupé is immediately recognisable, building on the design of the stunning C-X16 concept sports Coupé and the F-TYPE Convertible – winner of the 2013 ‘World Car Design of the Year’ award. “Creating a sports Coupé is the purest of design tasks, and also the most challenging; get it right and aesthetically the result will be as dynamic as the car should be rewarding to drive. In F-TYPE Coupé, I believe we’ve got it right. 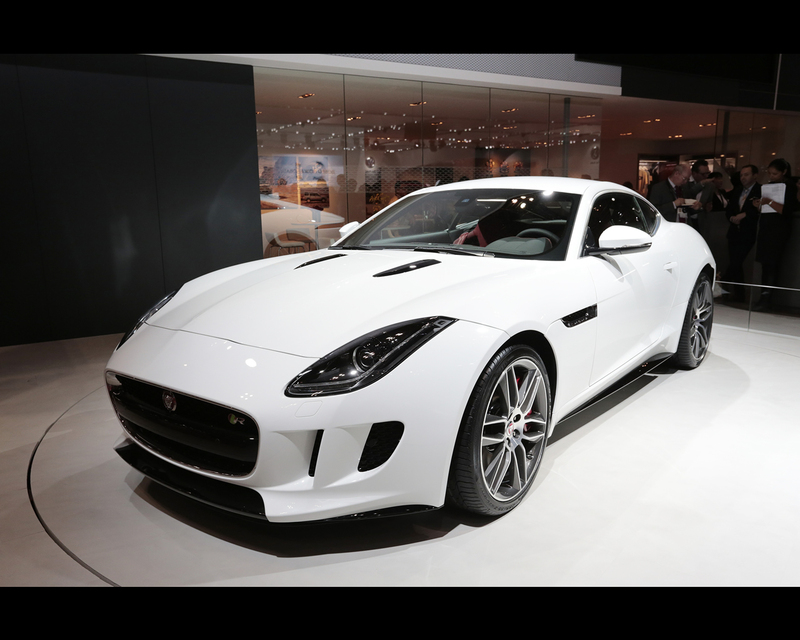 The Jaguar F-TYPE R Coupé represents the pinnacle of the F-TYPE range. 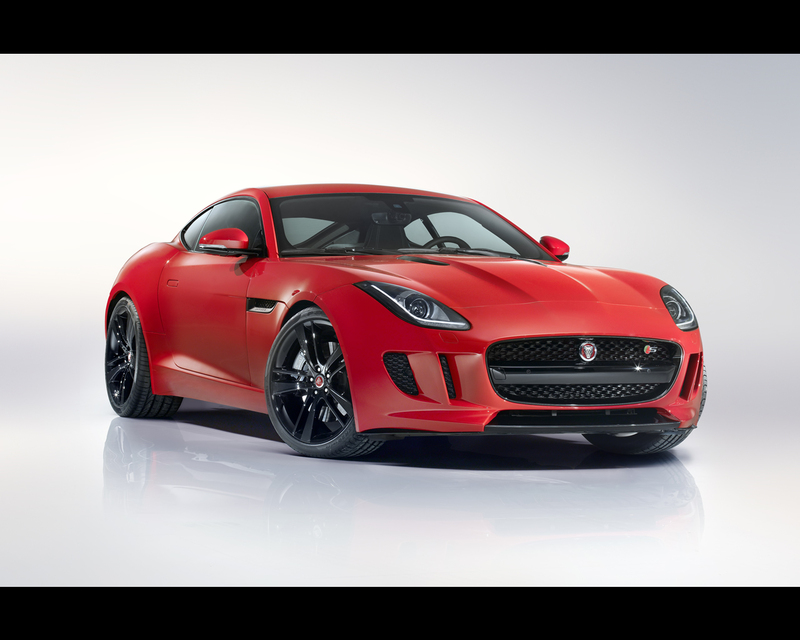 Powered by Jaguar’s 5.0-litre supercharged petrol V8 all-aluminium engine in 550PS and 680Nm form, the F-TYPE R Coupé achieves headline figures of 0-60mph in 4.0-seconds with an electronically limited top speed of 186mph, 50-75mph taking a mere 2.4-seconds. CO2 emissions are 259g/km. The F-TYPE R Coupé is fitted with Jaguar’s Adaptive Dynamics system that actively controls vertical body movement, roll and pitch rates. The system continuously monitors driver inputs and the attitude of the car on the road, adjusting damper rates accordingly up to 500 times a second to optimise stability. For the F-TYPE R, the Adaptive Dynamics controlling software has a bespoke tune, working in tandem with revised spring rates all-round to deliver consistent, progressive and exploitable handling. Spring rates are increased by 4.3% at the front and 3.7% at the rear (compared to F-TYPE V8 S Convertible). 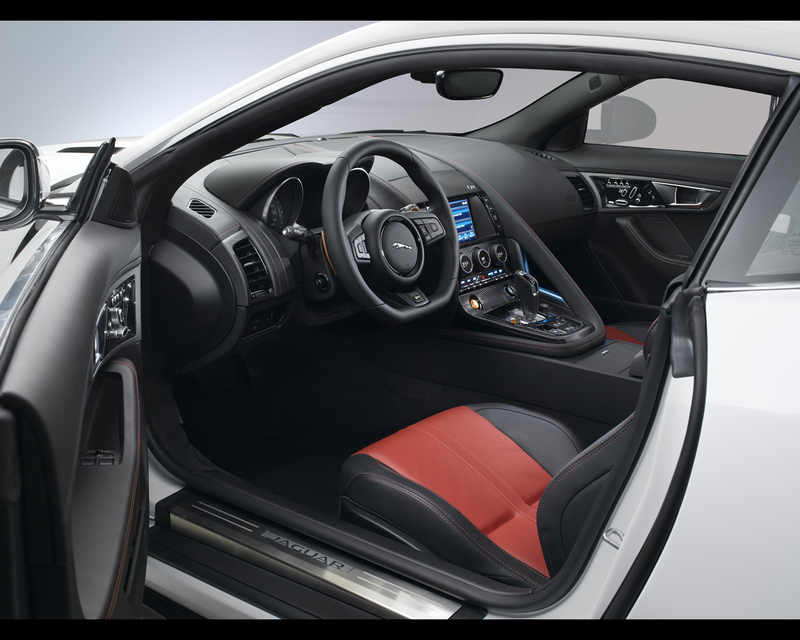 The EAD system fitted to the F-TYPE R Coupé features a highly sophisticated second-generation controller. It continuously estimates surface friction, comparing that to the driver’s torque demand and delivering accurate locking torque as a result. A new handling controller also means the EAD has the ability to match the car’s response more accurately with the driver’s inputs during both on-power understeer or off-power oversteer conditions. Working in parallel with the Torque Vectoring by braking system, the controller is capable of reacting to the ECU’s torque request – ranging from open to full locking torque – in under 200 milliseconds. Torque Vectoring by braking – a standard feature on F-TYPE R Coupé – applies finely metered braking torque individually to the inner wheels as necessary, helping to turn the car into corners more precisely. Using the F-TYPE R Coupé’s array of electronic sensors, the Torque Vectoring system determines when corner entry speed may induce understeer. It then calculates the level of brake force needed to correct the car’s direction and, via the ABS system, applies that precise braking force to individual inner wheels as necessary. Torque Vectoring by braking works at a subtle level, both correctively and predictively, finely adjusting the trajectory of the F-TYPE R Coupé for optimal handling. The F-TYPE R’s EAD and Torque Vectoring by braking systems – which work together with the car’s Dynamic Stability Control system – complement each other to optimise traction, cornering ability and, most importantly, to maximise steering feel and agility. Torque Vectoring by braking works to fine-tune trajectory around a corner, and as the car is pushed further to its limits, there is a natural, seamless transition to EAD. 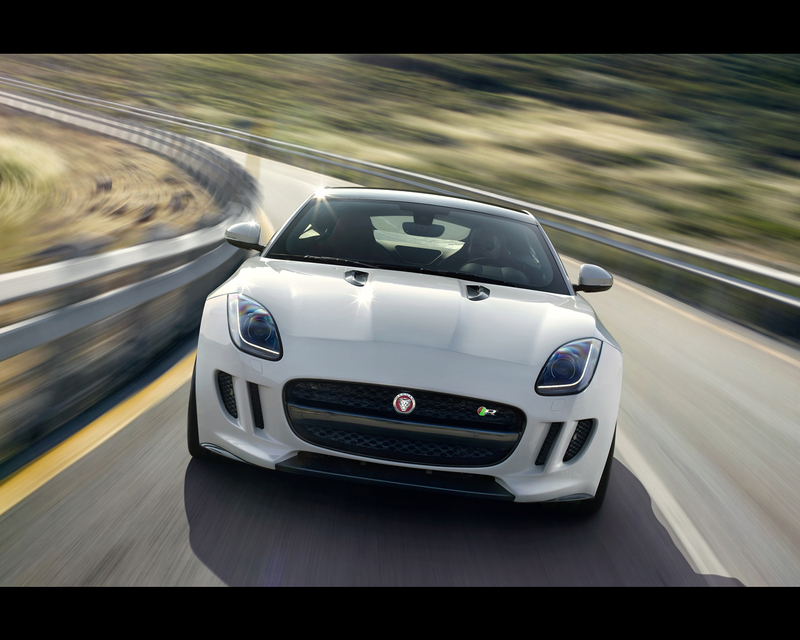 The F-TYPE R Coupé uses Jaguar’s Super Performance braking system as standard. This system features 380mm front and 376mm rear discs – with red or black painted calipers. Brake cooling is optimised via under-body channelling of air, the air-flow being derived through the use of Computational Fluid Dynamics analysis. The F-TYPE’s eight-speed 'Quickshift' transmission has been recalibrated to make the best use of the F-TYPE R Coupé’s 550PS engine. Its eight, closely-stacked, sporting ratios help to fully exploit the engine’s rev range and ensure that it remains within its optimal power band with every gearchange. Manual control is available to the driver at any time, using either the steering wheel-mounted paddles or the central SportShift selector. The F-TYPE R Coupé’s switchable Active Sports Exhaust system – with its signature quad, outboard-mounted tailpipes – takes the aural excitement delivered by the 550PS engine to new levels. It offers an authentic, rich sound, developing to a howling crescendo as the upper limits of the rev range are reached. The system uses electronically controlled bypass valves in the rear section of the exhaust which are mapped to open according to a range of parameters, effectively altering the exhaust gas routing into a free-flowing straight-through arrangement to both reduce back pressure and enhance sound quality. Selecting Dynamic mode also opens the bypass valves, an optional override button enabling further driver control of the system. 20in ‘Gyrodyne’ wheels in silver finish are standard on the F-TYPE R Coupé, while a dark grey and diamond-turned version is optional. 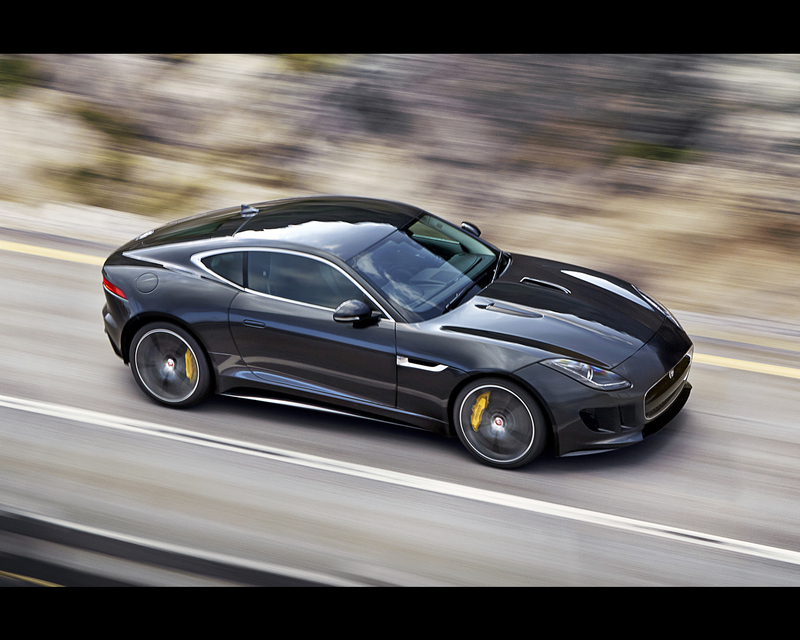 As on any F-TYPE specified with 20in wheels, the F-TYPE R Coupé is available with optional ultra-high performance tyres which, with a unique tread pattern, offer additional steering precision, and increased levels of grip for the enthusiast driver. Like all models in the F-TYPE range, the R Coupé’s driver-focused cabin clearly conveys the car’s pedigree and sporting prowess, through a combination of taut, technical styling, involving interfaces and premium materials and textures. 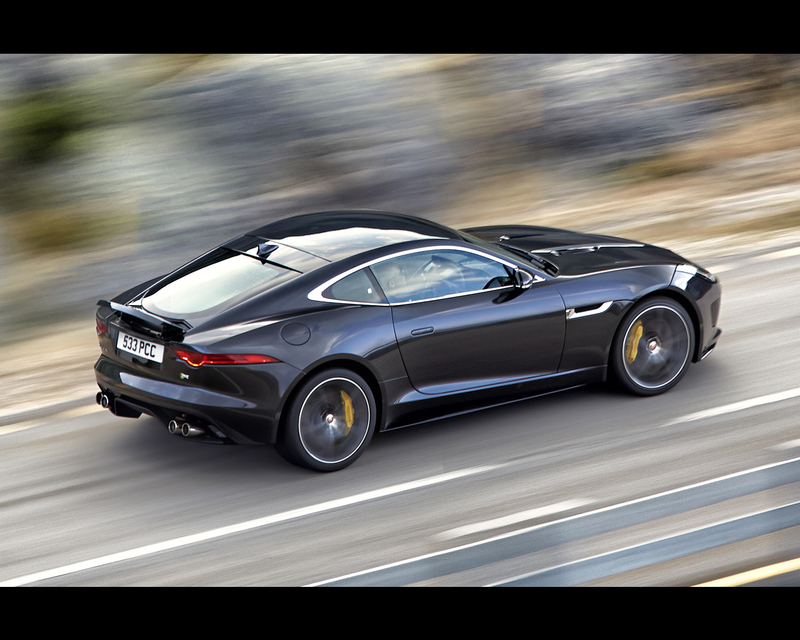 The Jaguar F-TYPE Coupé is also available in two V6-supercharged powered petrol variants, both driving the rear wheels through eight-speed Quickshift transmissions; the F-TYPE Coupé and the F-TYPE S Coupé. 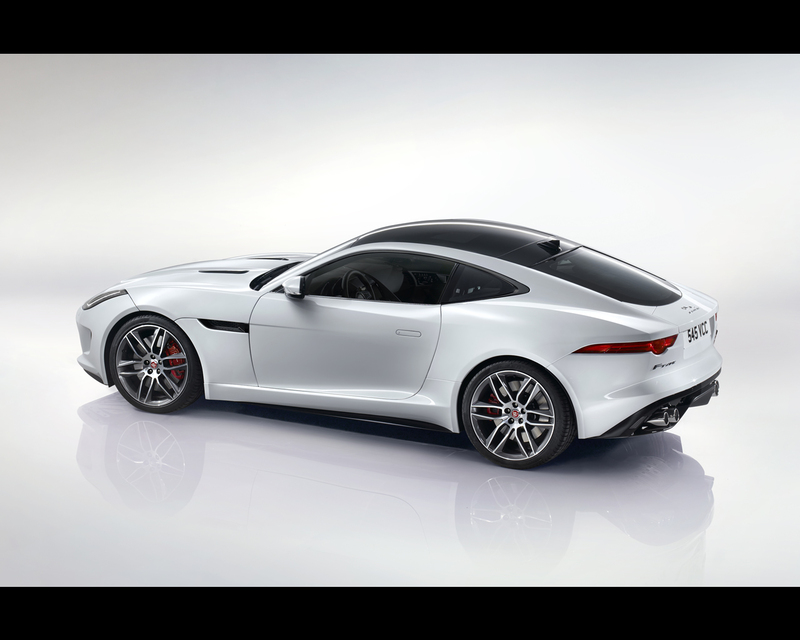 Featuring the same rigid yet lightweight Coupé bodyshell as the F-TYPE R, and combined with a finely tuned focus on ride, handling and performance, both the F-TYPE Coupé and F-TYPE S Coupé are true drivers’ cars. 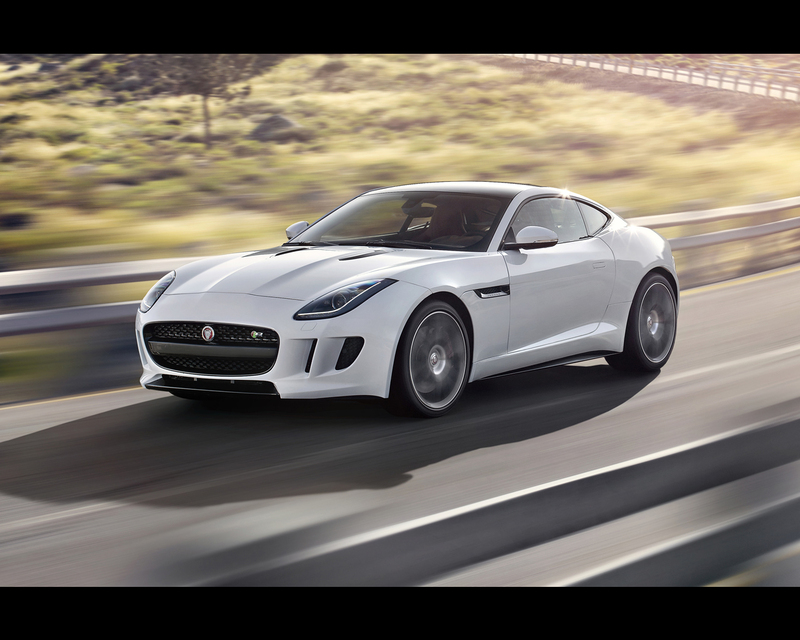 The F-TYPE Coupé is powered by Jaguar’s 3.0-litre V6 supercharged petrol engine in 340PS/450Nm tune, and is capable of 0-60mph in 5.1-seconds with an electronically limited top speed of 161 mph. Standard features include Dynamic Mode, sports exhaust – both V6 models use twin, centrally-mounted tailpipes – sports suspension and Jaguar’s Performance Braking system (354/325mm discs front/rear) with silver calipers. 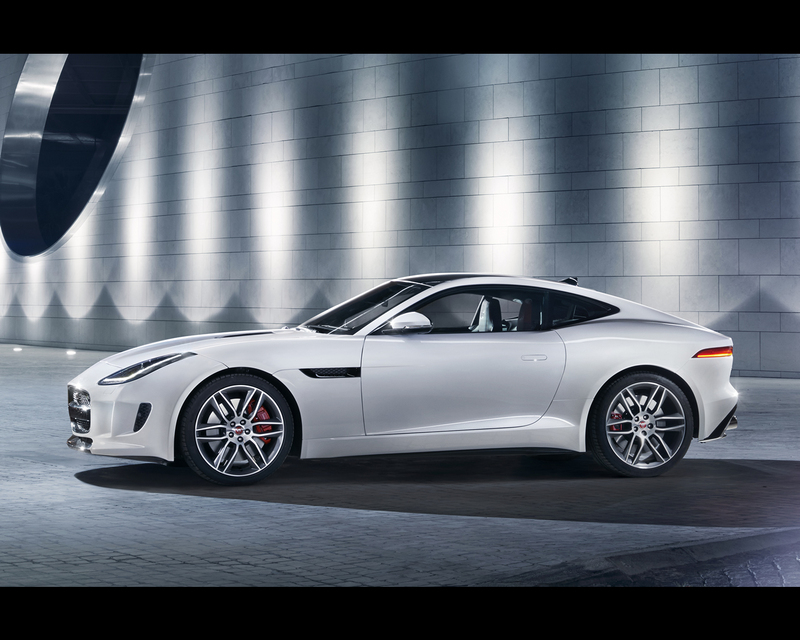 The F-TYPE Coupé is fitted as standard with 18in Vela wheels, partial leather/Suedecloth sports seats and a leather steering wheel with black paddles. The F-TYPE S Coupé, powered by Jaguar’s 3.0-litre V6 supercharged petrol engine in 380PS/460Nm tune is capable of 0-60mph in 4.8-seconds on its way to an electronically limited top speed of 171 mph. 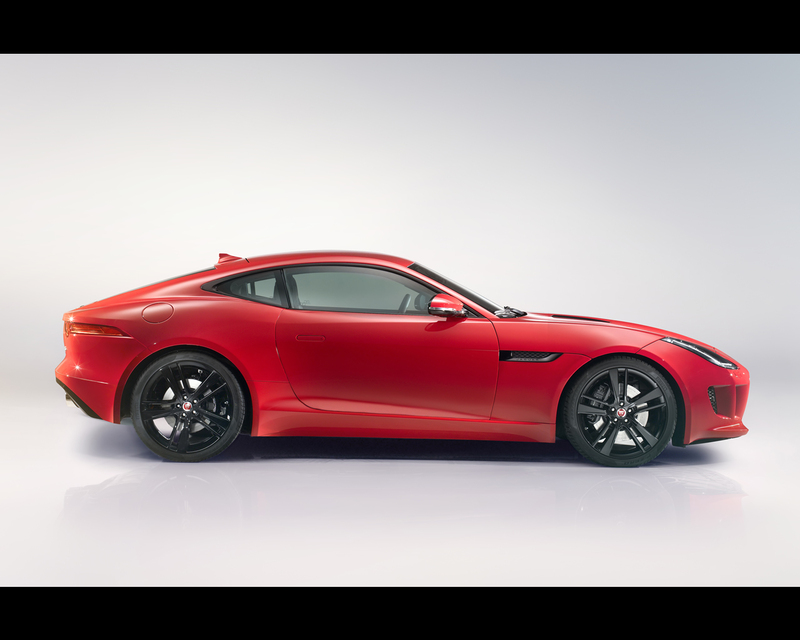 It features Dynamic Mode, Dynamic Launch, Active Sports Exhaust, sports suspension with Adaptive Dynamics, Jaguar’s High Performance Braking system (380/325mm discs front/rear) with red calipers and a mechanical limited-slip differential. 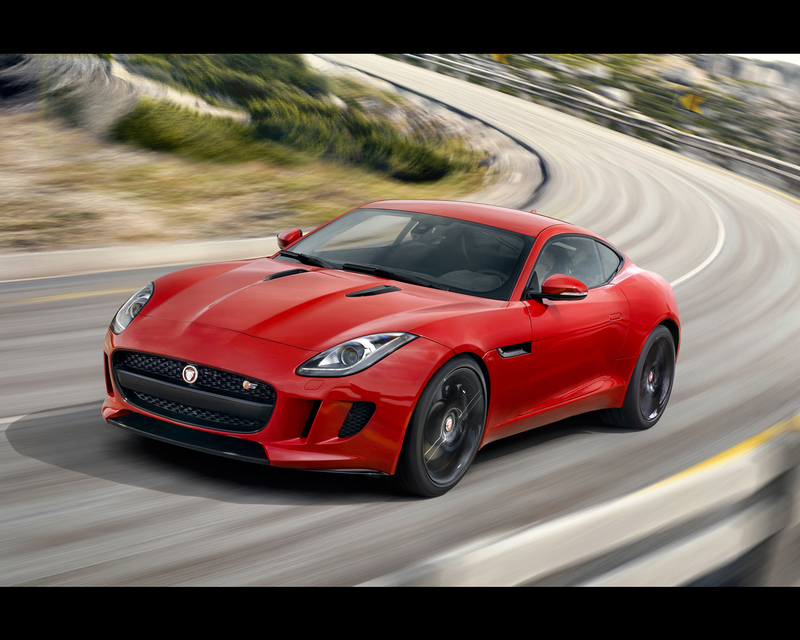 Both Jaguar’s Super Performance and CCM braking systems are optional. The F-TYPE S Coupé is fitted as standard with 19in Propeller wheels, leather sports seats and a leather steering wheel with Ignis paddles. 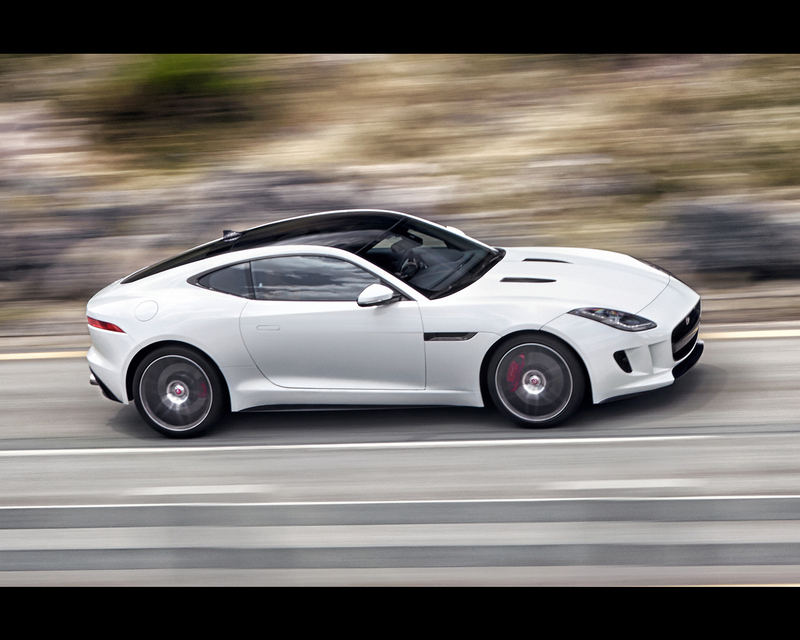 All F-TYPE models – Coupé and Convertible – are equipped with Jaguar's Intelligent Stop/Start system which, when conditions allow, automatically shuts down the engine when the car comes to a halt and the driver's foot is on the brake pedal. When the brake is released, the system can restart the engine in less time than it takes for the driver’s foot to move from the brake to the accelerator. The system offers fuel economy and emissions benefits of up to 5 per cent. The F-TYPE Coupé model range is available with three audio systems, two of which come from globally recognised British experts Meridian. These offer either 10 or 12 loudspeakers with outputs of 380W and 770W respectively. The Meridian systems benefit from the company’s huge experience in digital signal processing to create audio reproduction that is second to none. The top of the range offering also features Meridian’s proprietary Trifield technology, which delivers an authentic and consistent surround sound to both occupants. The F-TYPE R and S Coupé models have an exclusive option of Carbon Ceramic Matrix (CCM) brakes. Vivid yellow monoblock calipers – six-piston at the front and four-piston at the rear – grip 398mm front and 380mm rear brake discs made from a matrix of carbon fibre and ceramic, which is extremely hard and highly resistant to wear. CCM brakes feature a pre-fill system function that applies a low brake pressure to all four calipers when the throttle is released – and before the brake pedal is pressed again. The pre-fill system ensures a consistent brake pedal feel, and is tuned for speed proportionality. This means that at higher speeds it will give a consistently sharp, confidence-inspiring response, while at low car park type speeds the system will provide a more comfort-biased pedal feel. Specify CCM brakes and the F-TYPE R or S Coupé will come with 20in ‘Storm’ wheels. As standard these are in a satin grey anthracite finish, but an optional, forged version with gloss black/diamond-turned finish is offered.